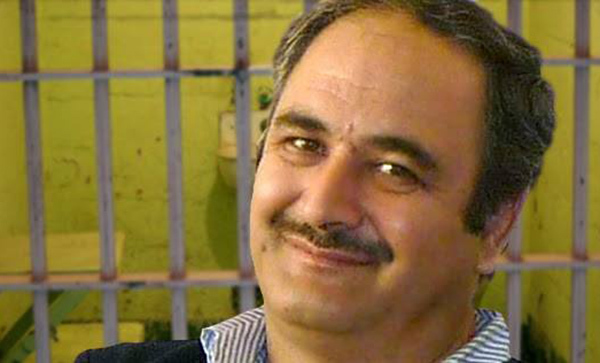 Shahrokh Zamani, a brave and tireless fighter for the Iranian workers movement, has died in Gohar Dasht prison. The news was received by all with total disbelief and utter shock. In our view, whatever reasons the authorities may give, the responsibility for his death lies completely with those who have imposed conditions of slavery on the workers of Iran and have taken away their rights to organise and struggle for a better life, and with those who throw honourable and valiant human beings such as Shahrokh Zamani into dungeons. The shocking news of Shahrokh’s death in jail, without any prior history of illness, is not the first news of such a loss of life of a prisoner – and, given the current conditions in the country’s jails, will not be the last. This untimely death will naturally appear suspicious to any unbiased person. But even without any such suspicions, the conditions in prisons – especially for worker activists and political prisoners – are already murderous enough, for a thousand and one reasons, from microwave torture to unsuitable food, from inadequate sanitation to absence of medical care, from unhealthy living quarters to every kind of mental and psychological pressure. Shahrokh Zamani had committed no crime, other than defending the rights of his fellow workers. He had no official position, he had not defrauded any one, he had not harmed anybody and he was not a partner to any thief or highway robber. He was a building worker and a member of the Committee for the Establishment of Independent Trade Unions, a member of the co-ordinating committee for restarting the Paint Workers Syndicate. He was an honorary member of Paint Workers Syndicate of Alborz and the Central Province, and its founding mentor. Shahrokh was thrown into jail in 2011 for defending workers rights, but for such a brave fighter, prison did not mean an end to struggles. In his almost five years of imprisonment, from his two-man cell at Gohar Dasht prison, he never stopped until his last breath to struggle and fight for just causes. Jails, courts, repression, and pressure from the security forces and jailers could not silence Shahrokh. With his unrivalled braveness and steadfastness, and without an iota of self promotion, Shahrokh was a real symbol of Iranian workers resistance and struggle for liberation from oppression and exploitation. The death of Shahrokh is an irreplaceable loss for his family and friends and for the workers’ movement as a whole. We are sincerely sorrow for this great loss and declare our sympathies with his family, friends, his fellow prisoners and workers all over the country. But despite this unbearable pain, we will not retreat into our sorrow and we will turn his death into the banner of workers solidarity and unity. Long live workers unity and solidarity! We salute you Shahrokh Zamani! The Free Trade Union of Workers in Iran.